Learning a new product is not like being thrown into a pool, where you kick and start to swim. To get you up and running quickly and efficiently, follow this step program. We also created videos that can help you as well. Check out our free comprehensive job search tips and tricks! Your first thought, when submitting for a job prospect is that you need a resume and cover letter. If you think about it, though, you should have more than that. In some countries submitting a photo is nice. More importantly is a portfolio. Not just artists and musicians have portfolios. You may want to submit extra items as well. Bundled together, this package is known as a Resume Package or Presentation Package. If you are like most people, you can do different things, so you should have different packages. Ask yourself this question. Do you manually put together the package for every submittal? Jobfish allows you to create any number of resume packages and given them a nice name. If you are stuck at the resume stage, Jobfish comes with multiple templates, which you can customize. Are you stuck with cover letters? Jobfish comes with multiple cover letter templates as well. Create a resume package for each skill type that you have and let Jobfish do the rest. Part of the job seeking process is not just asking a friend or family member for a job, but to submit your resume for consideration for job opportunities posted on various job boards. Using job boards can be stressful. You have to open up multiple browser tabs and shuffle between them. You have to wade through advertisements. Each job board has a different interface. If you are good, you should keep track of every job that you looked at or submitted a resume to. Even popular job sites, such as Craig ´s List can be very tedious to use. Here is where Jobfish comes to the rescue. Jobfish works with many of the popular job boards and provides a common interface for you to use. We do the work, so that you do not have to. We parse the search results and present them to you. You can look at the details of any job posting on a separate window, which you can keep on a secondary display, so that you can keep your search results on the primary display, or just have the details window down below. You can customize the look. Jobfish does its best to parse the data, which you can tweak, if you want. You can then apply for the job and/or save the job to your job records. Do you not want to see postings from certain companies? Good luck doing that on any job board. With Jobfish, you can easily hide postings from one or more companies. Job boards repost the same job opportunity each day as if it were new, a trick they like to employ, so that they can get the candidates to apply. Job boards service the recruitment industry and employer, not the job seeker. Jobfish knows this trick and will hide the result, if you no longer want to see any posting already viewed. Jobfish does all that and more. Applying for a job sounds simple, even child´s play. Right? No, it is not. On every submittal you should gather your resume package together and attach to your email. You have to find the email address or use the facility in the job board. Before that, you have to find out which job posting is of interest to you. it is not like looking for the state or a country in a dropdown list (combo box) on a form. Jobfish not only presents the search listings in an easy to view interface, but allows you to apply for them easily too. Take Craig´s List, which is ultra popular and simple to use. Applying for a job can take upwards of 10 minutes, and that is if you are fast and patient. With Jobfish, you create resume packages. When it comes time for submitting to a job, such as on Craig´s List, or attaching to an email, you simply select which resume package you want, if not the default requested, and Jobfish does the rest. Jobfish will use your cover letter as the body of the email. Jobfish automatically puts the proper subject line. Jobfish will put a copy of the job placement ad below your cover, and then attach your resume and any other items present in your package to that email. Jobfish does all the work, so that you do not have to. Submitting for a job with Jobfish becomes a trivial task. Jobfish saves a copy of the job posting in your database saving a static copy of the ad along with a link to the live version. Replying to a post in Craig´s List is a matter of a couple of mouse clicks and you are off to the next row. Your efficiency on any supported job board will skyrocket. The trick is to use the system created against you for your own benefit. Play their game to your benefit, not theirs. Take the following scenario. You are minding your own business and suddenly the telephone rings. You pick it up introducing yourself probably by your first name. The person at the other end of the line asks you a question, probably one that is technical. They might then ask you about numbers. Worse yet, the dreaded question asking you what kind of job would you most want to get. You fumble and then give some sort of answer. The person on the other end says that they will keep you in mind and get back to you. Does that sound familiar? The person at the other end of the phone wants to find the exact person who would love their job. They are counting on you not knowing who they are. They want to catch you off guard, so that you give them a real answer. If you are like most people, you can do multiple things, so if you say that you can cook waffles, but they want someone who can bake pies, you are out, even though you said waffles. Imagine if you took a second and ask the person his/her name. More than likely, they will say this information, when calling. You take a few seconds and say hold on or thank them for calling you. During these few seconds, you pull up this person either by name or the company name. You see a list of jobs for which you applied. If only one job to this company, then you click one button and see the job posting. You can give the answer that they expect all the while that they think that you do not know who they are. If multiple jobs, you can ask simply if they called you for this one job or the other. They will have to answer. If they ask how you knew, say that those jobs stood out to you. Impress them. Once you know the job, then you can view the record and recite the job description back to them. The next thing that you know is that you will go to the next step. That is thanks to Jobfish, your job placment matchmaker. In the last step you saw how Jobfish can be useful, when someone calls on the phone. Jobfish can give you the edge, not the person on the other end, because once you know the exact job that the person calls you on and all the job details, you can bore them to tears on each of the bullet points. When dealing with contacts, talking on the phone when something calls is just part of the picture. When you are out of work, sending your contacts an email that you want a new opportunity is part of the process. Think mail merge. 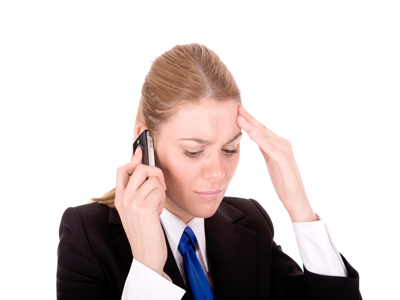 If you talk on the phone, you may agree upon a callback time for whatever reason. You may want to keep notes on all the contacts. Jobfish does all of these things and more. You can view callback times nicely in a table. You can schedule interactions and get notified. Jobfish even supports mail merge, much like what Jobfish does with job submittals. You select which contacts and Jobfish does the rest. Obtaining contacts is the first step. Jobfish allows you to import contacts from Microsoft Outlook or any CSV file. You can export too. Jobfish will create a contact list, whenever you apply for a job. Jobfish does it all. Microsoft Outlook, although nice, is simply not up to the challenge. Did you know that you can Skype a contact by the click of a button? We integrated Skype directly into Jobfish. Working with contacts in Jobfish is the ticket to a successful job search. Check Jobfish out today. When it comes to a job search, pieces of paper and even Microsoft Outlook does not do an adequate job of keeping track of interviews, interactions (correspondences), and tasks. Job seeking is its own special field, and you need a specialized tool. General ones will not do. Jobfish provides full and comprehensive interview, interaction, and task list management. Aside from being notified, you can reschedule them. You can view them on your smartphone. You can view a summary of upcoming things to do job related on your summary page inside Jobfish. Finding out the details is a snap. Jobfish is your matchmaker, concierge, and secretary all rolled into one package. Jobfish includes not just the ability to print out job records and other reports, but the ability to fully customize each report type. You have access to all the data in the database. Configure as you want and print what you want. If your unemployment office wants a specific type of form; no problem. You can customize our unemployment job search report to your needs. Jobfish also includes job metrics. The best way to gauge how you are doing is to look at the numbers. If you are off in any one area, you can work on that area. Keep your strengths and work on our weaknesses. The Jobfish Questions and Answers section can come in handy here, if you see that you are off closing the deal. Write down interview questions, categorize them, and job down the answers. You can work on your answers and get that metric up and get yourself closer to closing the deal. Now for the fun stuff. Take a break from your job search and learn something. Get involved. Read our blog and comment. We periodically post articles relevant to the job search market and employment industry in general. Become involved. If you would like us to talk about something, drop us a line and we will consider it for a future discussion. On any political topic where we comment, we will try and give you the perspective of the job seeker, not the politician, the government, or the employer. The media goes after the story and money and what they say is not always the truth, the whole truth, and nothing but the truth. The truth depends on the intended audience. Check it out.